and paid for by a mailed check. 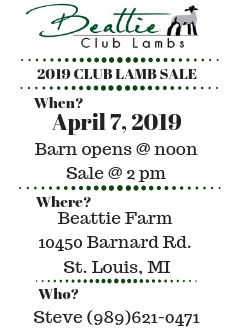 A member of the MSPA can place a free classified ad on the MSPA web page for three months. The ad can be cancelled at any time and replaced with a new one. Ads will be removed from the page after three months. An ad should be sent to mbenne@frontier.com. The ad needs to be thirty words or less. Farm King bale wrapper for sale. Purchased new 2017, wrapped 150 bales. Stored inside. 3-pt. Comes with bale tipper, digital wrap counter. Does 4X4, 4X5, 5X5 size. $3400. 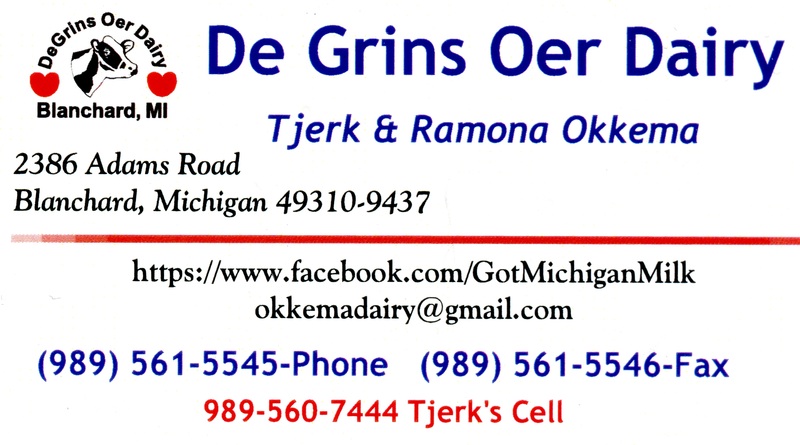 Jeff Berens, 616-886-1906. 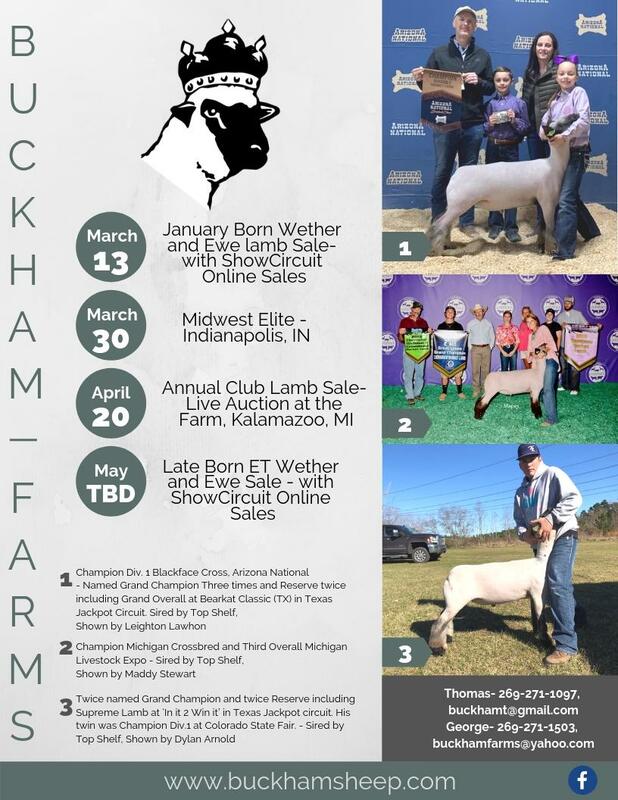 The Okkema’s have club lambs and sheep for sale. 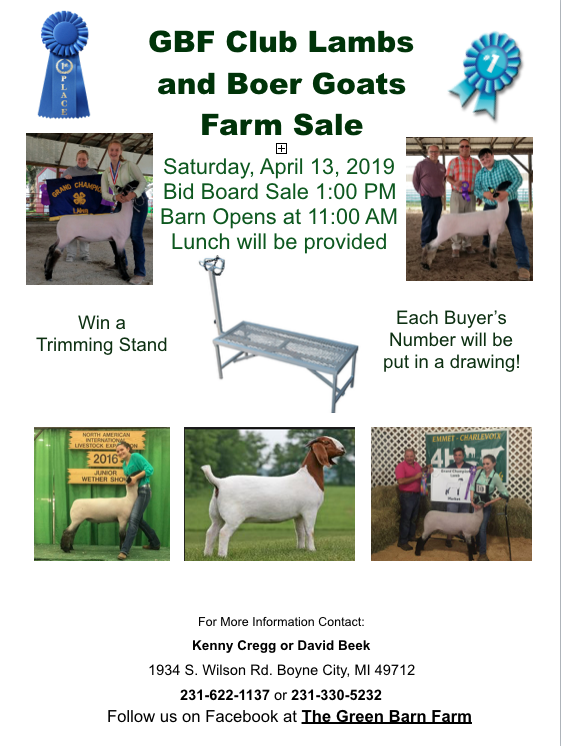 Bid-Board Sale begins at 2:00pm. 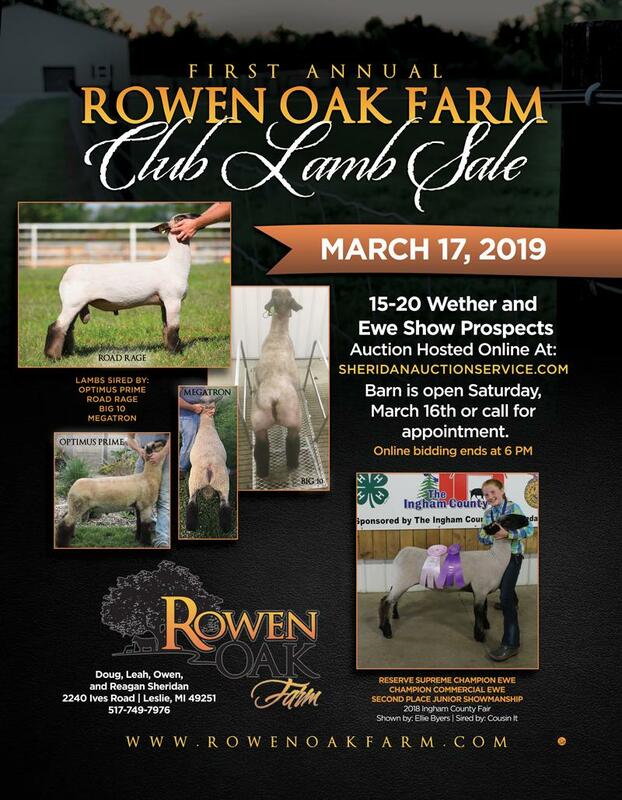 Rowen Oak Farm Sale Information.